Menton: a busy summer evening. 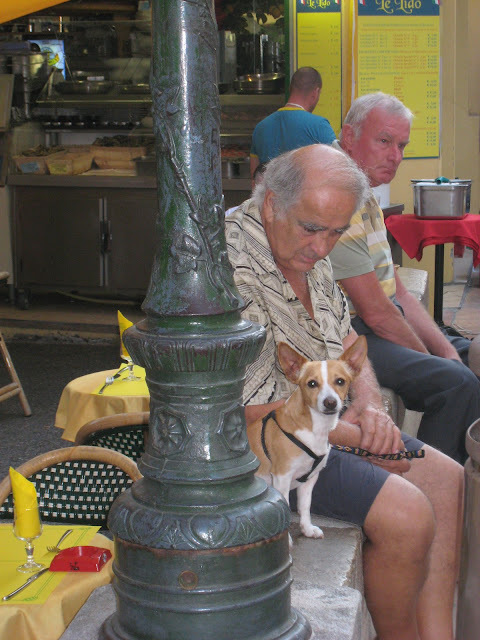 Our hero sits with his owner on the wall right by Restaurant Le Lido. 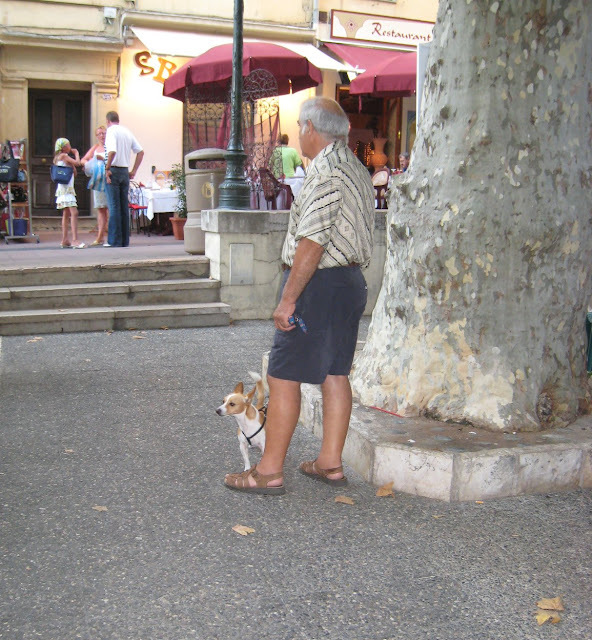 In the photo below he stands by a tree in the square near to the restaurant - presumably waiting for someone - his Mama I expect? he is so very cute! !